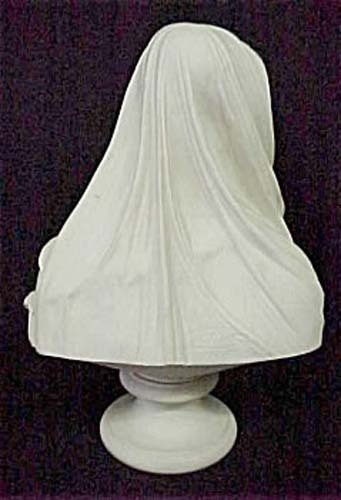 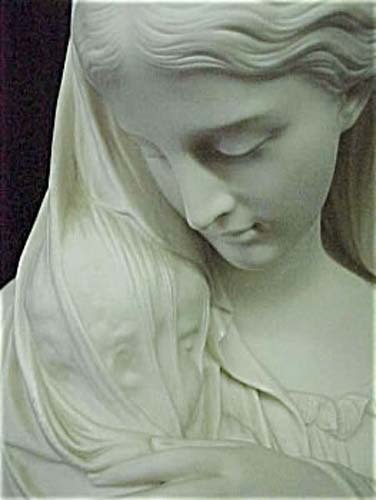 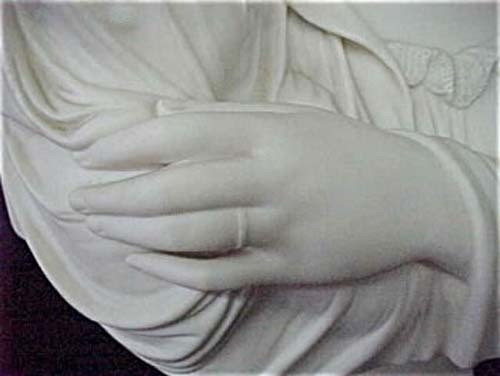 A rare Veiled Parian figurine of a Mother & Veiled Child by R Monti sculptor for Copeland. 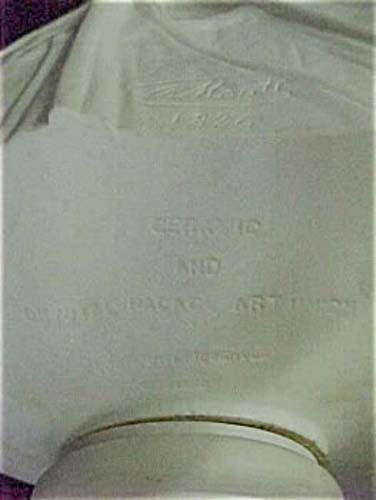 The back is marked Ceramic & Crystal Art Union, Copyright Reserved & dated illegably. 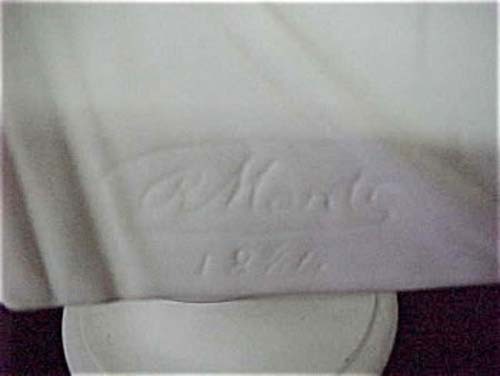 Above that mark it is signed R Monti. 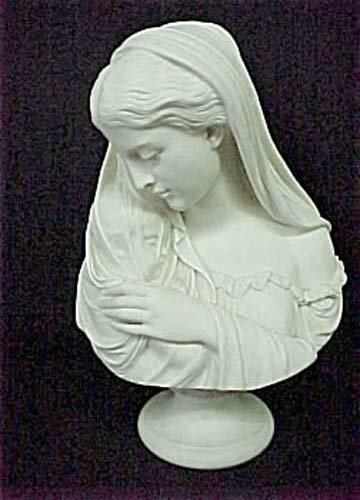 The figurine is in perfect condition & is 15 & a half tall & 11 inches wide.